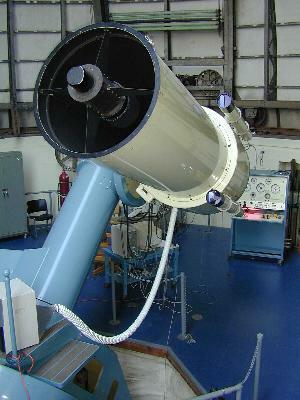 This telescope is located at the FitzRandolph Observatory of Princeton University. For more information about this telescope, visit the FitzRandolph Observatory website. Are detailed drawings available for this telescope anywhere? FitzRandolph Observatory has been closed for several years and I am in contact with my alma mater about finding a new home for the telescope. Princeton may still have the detailed engineering drawings but having another set in whatever format would be great to assist in planning. In 2013 the Princeton telescope was moved to New Mexico for modernization and installation in a new observatory in the Cloudcroft area. More news will be posted here as the project progresses. –John W. Briggs.